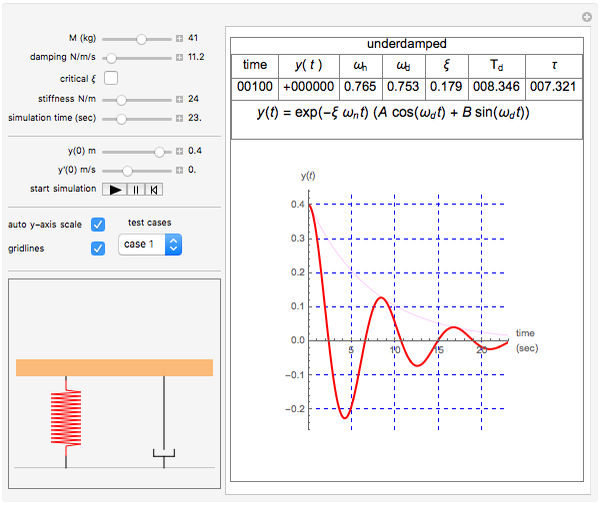 This Demonstration can be used to study the free response of a second-order linear system. You can vary the system parameters (mass, damping, and stiffness) and simulate the response. 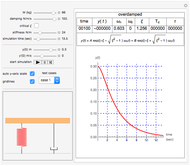 The analytical solution is displayed at the top of the plot for the cases of underdamping, critically damping, and overdamp. 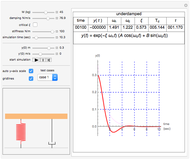 In addition, a standard physical model of mass-spring-damper is run at the same time as the response plot is updated. You can set the initial conditions for initial position and speed using the sliders. 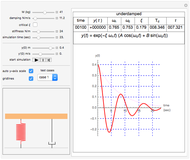 Setting the initial conditions to and makes the response the same as the impulse response. The underdamped response of a second-order system is given by . The critically damped system has the response and the overdamped system has the response . In all of the above, and can be found from the initial conditions, is the natural frequency in , is the damped natural frequency in , and is the damping coefficient. 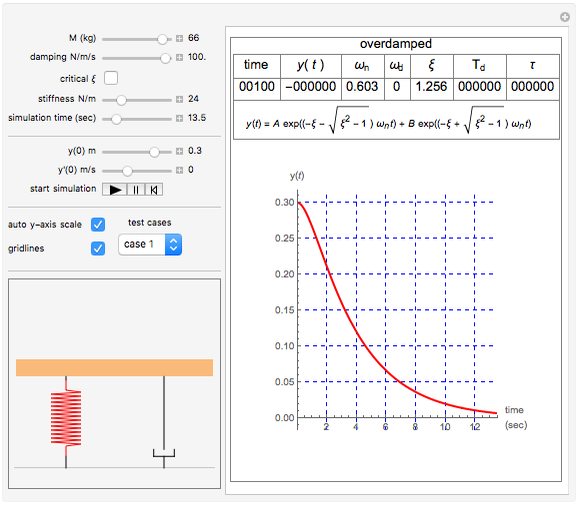 For the underdamped case, the damped period of oscillation is given by and the time constant is given by ; both are in seconds. All units displayed are in SI. Nasser M. Abbasi "Free Response in a Second-Order System"